“The work of Lynda Gammon throws a serious wrench in the distinctions between artistic disciplines, flirting with architecture, photography, performance, and sculpture, while being faithful to none. 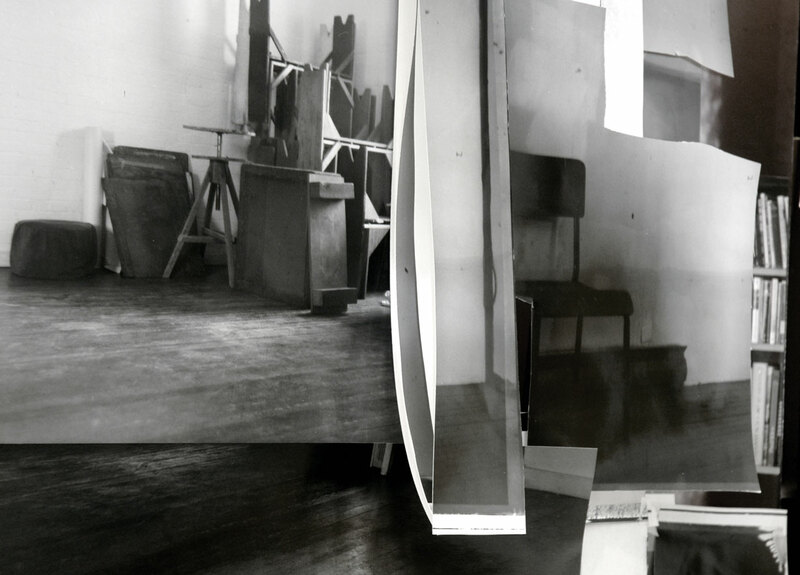 The works first appear as a chaos of ephemera—photographs, paper, tape, wood, foam core—like exploding archives protruding from the wall. References to and images of derelict or otherwise imperfect architectural spaces—often Gammon’s studios—abound, though never in their entirety, frustrating a desire for a complete image. Ironically, the works use sculptural techniques of assemblage by using photography at every turn, but to material rather than pictorial ends. Photographs are taken and developed, printed and cut, taped and glued, draped and woven together, such that no singular, coherent image can be deciphered. The space of the photograph is given over to the tactile, material qualities of the form itself essentially turning the traditional function of the medium inside out…. 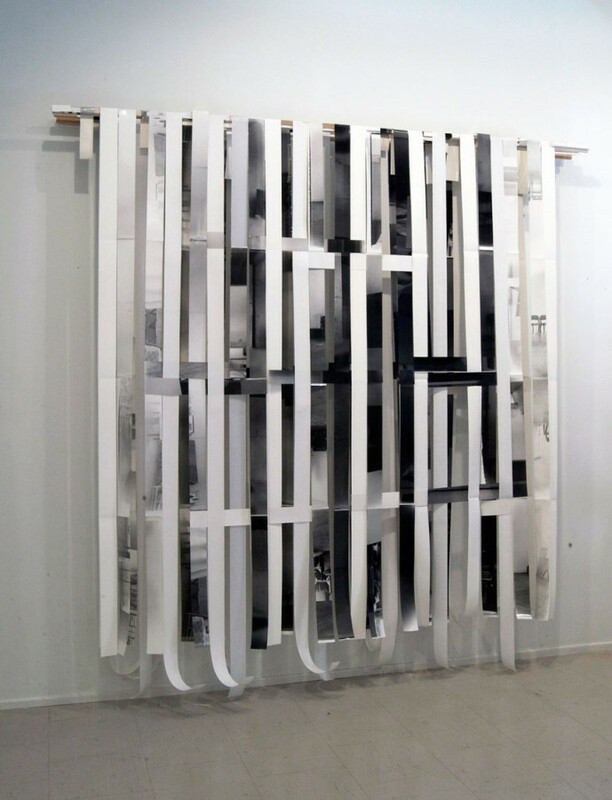 They occupy the dubious ground between process and object, not resolving clearly on one side or another. 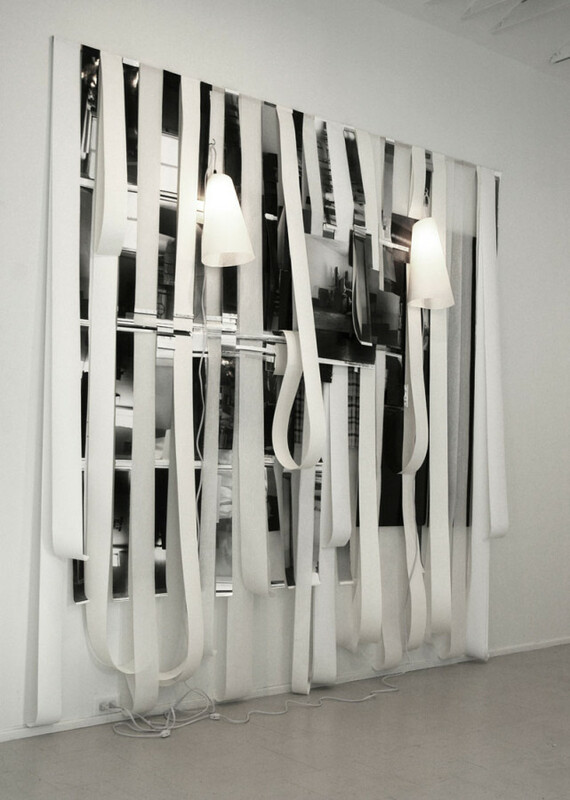 Take, for example, Interval # 4 (2010): Long trails of paper are casually draped over horizontal rods and hang down in layers like locks of hair, nearly touching the floor. 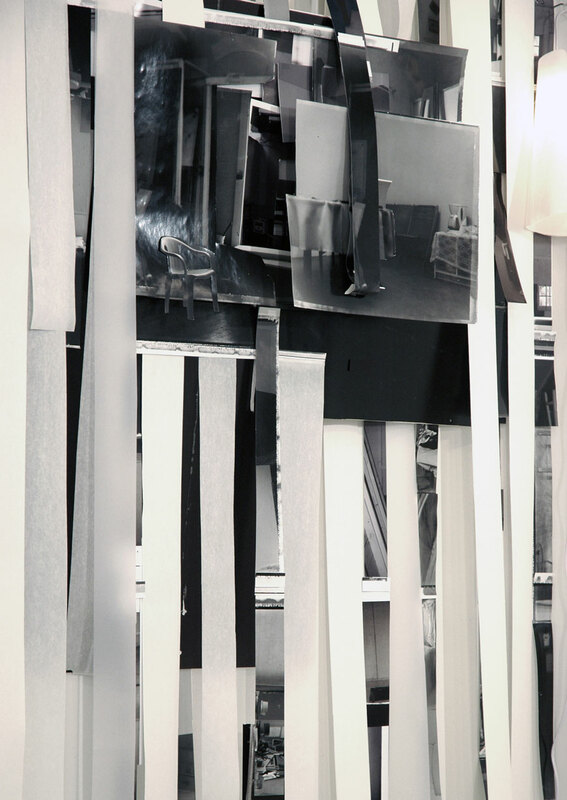 The layers are woven together with alternating, perpendicular strips of photographs in such a way that refuses completion. 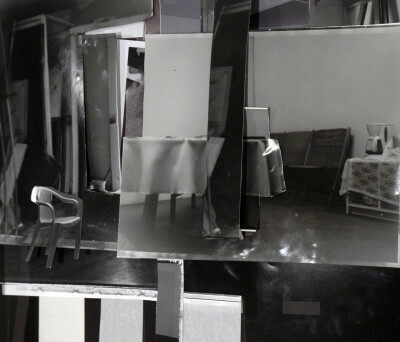 Any picture used in the process is only shown in fragments and viewers are likewise forced to read the work in its piecemeal construction, rather than in its entirety. 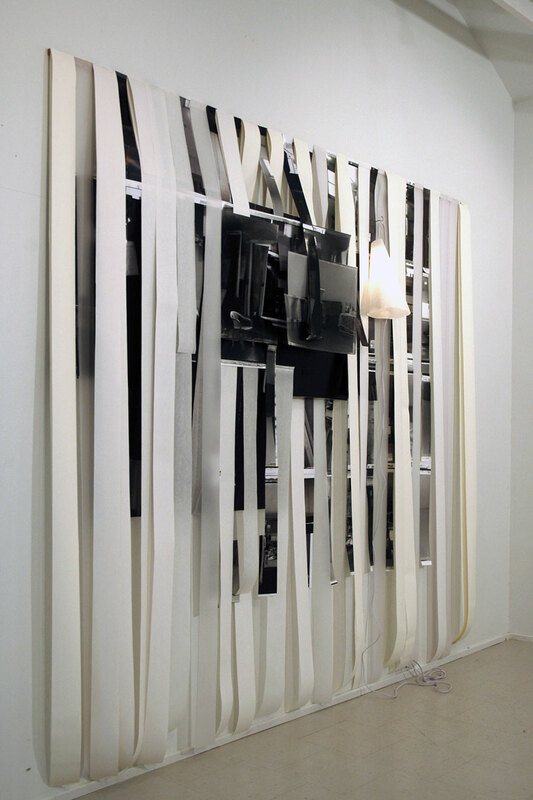 “ Kathleen Ritter, catalogue essay Silent as Glue, 2011.